Given the total space for cycle lanes on both side of the road, there was enough space to do a full 3m wide segregated cycle path on one side of the road; wide enough for cycle path sweeper vans to cover, safe to use and possibly popular enough not to get overgrown. 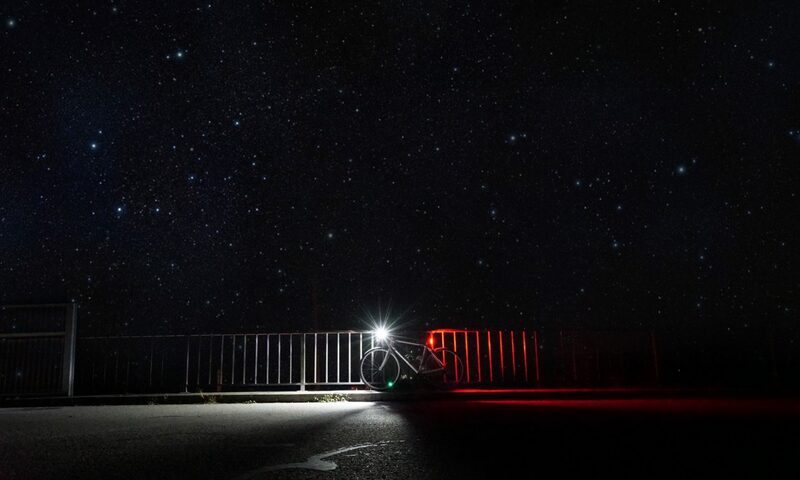 Now that money has been spent on plastic reflectors, you won’t see that. Bloody morons. Also: if (!) bollards were the answer, why so many? Does the contractor in charge of Bollard Services play golf with the roads manager? I agree with previous comments that say the bicycle-path could readily be bi-directional and 3m wide. Elzapp wrote that a proper bike-Lane is 1.5m wide. I strongly disagree with this. A bike-Lane is not 75cm wide per direction. If biking is to be subjectively considered “safe” then a wide Lane is one of the more important steps. A proper bike *lane* is (at least) 1.5 metres. A Bi-directional bicycle-path has ofcourse two lanes. In my experience single direction lanes on each side of the road connects better with the rest of the road network. But it requres the same amount of space as a 3m wide bicycle-path. Apologies, I totally misunderstood your post. I believed you meant that the entire bike-facilities should be 1.5m. And I agree with your statement that lanes on either side are better suited to move in/out of any side roads. I pass this every morning (going in the opposite direction). 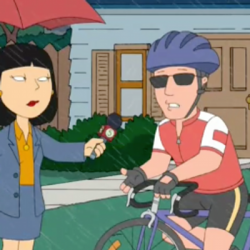 I’ve never seen anyone else cycle along there. 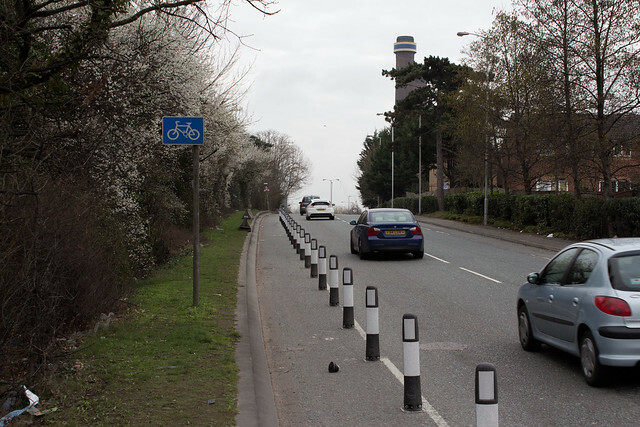 In principle, it would be a good thing, In practice, it’s crap – too narrow and on a road that doesn’t really connect with any well-designed cycle routes – a waste of resources that could have been used more effectively elsewhere. What is with the overgrown bushes? That is maybe a walking path, but not a bike lane. Have you contacted the Croydon guardian / advertiser about this? Next PostNext Would you question a bike thief?